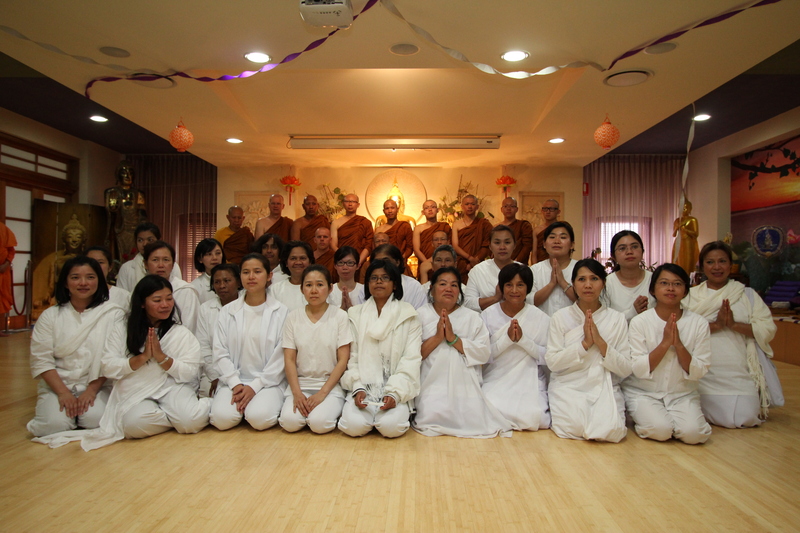 In April 2002 the Bodhikusuma Buddhist & Meditation Centre opened its doors to the Buddhist community and friends. Conveniently located at Chippendale in Sydney, the centre has provided many activities such as Dhamma talks, meditation sessions, and Buddhist ceremonial events. These activities have given visitors the opportunity to learn the Buddhist teachings and to use them to improve their lives. Many will agree that Bodhikusuma excels at giving quality teachings without compromise. This is achieved through attracting and organising locally and internationally renowned speakers to give exclusive talks at Bodhikusuma. In 2007, Bodhikusuma moved to a bigger and better location which made it much more convenient for people to come and join the many events. With this larger capacity, there have been many costs and much more funding needed to operate. Membership fees and a pay per class structure will give all of Bodhikusuma’s supporters the opportunity to provide the centre with enough funding to operate. All proceeds will go towards the Centre’s lease, speakers’ air fares and expenses, and other running costs. Bodhikusuma is strictly a not-for-profit organisation. Any fundraising or donations are solely to cover day-to-day expenses and for us to provide the many people with a wide-range of Buddhist activities and events. By joining Bodhikusuma Buddhist & Meditation Centre you are contributing to a great cause. We value your support. What are Members Entitled to? What’s the Difference With Mindfulness Membership? Follow these simple steps to register yourself as one of Bodhikusuma’s Members. By dedicating yourself to becoming one of Bodhikusuma’s members you are investingin your spiritual growth – something priceless. Follow these simple steps to register yourself as Bodhikusuma’s Member. Complete the form and send it back to our mailing address at Bodhikusuma Buddhist and Meditation Centre PO BOX 258, Strawberry Hills, NSW 2012. AUSTRALIA, together with your payment and a passport size photo of yourself. All Bodhikusuma’s member will receive a membership card which will be sent to you after receive your registration form and payment.